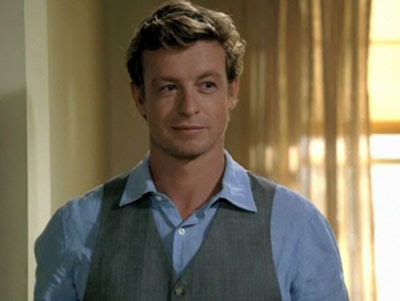 TNR -- TV News and Reviews: 'The Mentalist' Season 6 Spoilers: An Ending or a Reboot? 'The Mentalist' Season 6 Spoilers: An Ending or a Reboot? Fans were nervous during Season 5 of "The Mentalist," as Red John had yet to be revealed, and the show's future remained uncertain. CBS eventually decided to renew it for a 6th season, but it's not yet clear if this will be the end of our favorite show or the start of something completely different. The see-saw relationship between Grace Van Pelt (Amanda Righetti) and Wayne Rigsby (Owain Yeoman) is finally where longtime fans want it to be. Recent news has it that in the midst of a case involving a wedding in Episode 3, the two agents will get the idea to plan some nuptials of their own. "The Mentalist" creator Bruno Heller calls the eventual wedding the couple's "happy ending," but considering how that whole "killing Red John" thing turned out after the Season 3 finale, fans should be wary. Additions to the regular cast? The wedding for Rigsby and Van Pelt means the characters will be departing "The Mentalist," whether because of those pesky rules about dating fellow CBI agents or more sinister reasons. Filling the void on the show could be two new characters appearing in Season 6. One is FBI agent Dennis Abbott (Rockmond Dunbar), another of those prickly higher-ups that isn't all that impressed with the quirky methods of Patrick Jane (Simon Baker). The other will be ex-homicide detective Kim Fischer (Emily Swallow), who's described as "an enigmatic woman who is going to have a profound influence on Jane's life." Showrunner Heller adds that the character will motivate Jane to keep working when he wants to walk away from it all, which sounds ominously like more angst for our favorite consultant. Can the show move on after Red John? According to CBS, "The Mentalist" will reveal Red John's identity by the end of the year. This does not necessarily mean that they will capture him, however. This could be the best of both worlds for a Season 7 storyline. Fans wouldn't have to put up with the mystery being dragged out, but Red John could remain a threat lurking in the shadows. Reading through fan comments, it's clear that many are hoping for more of a focus in future episodes on solving individual cases, rather than the constant pursuit of an elusive serial killer. To return to the more whimsical tone of earlier seasons, this year would have to tie up the Red John case with minimal emotional damage to our main characters. If Jane has to suffer more loss of those close to him, it's tough to imagine the character realistically continuing in any enjoyable way for future seasons. A truly happy ending for Van Pelt and Rigsby is a fine way to close the book on their characters. It's not an insurmountable loss, and Grace, in particular, never seemed cut out to be a CBI agent anyway. With these two characters gone, however, a potential Season 7 could be straying away from the more lighthearted plots many fans are looking for. The fate of "The Mentalist" characters once again comes down to ratings. Season 6 could be a big-bang series finale or the "game-changing" season that reboots the whole show. What are you hoping for? Are you ready for Jane's journey to come to an end, or are you hoping for more adventures from the CBI team?